This would be a great book club selection, because there are so many interesting points to discuss. 1. It’s a compelling story. Melissa Francis’s story is quite compelling, and I found myself reading late into the night because I wanted to know what was going to happen next. The story is definitely five stars, but the writing and editing were not exceptional. There were typos, misspelled words, odd dialogue tags, and an overuse of adverbs. For those reasons, I could not give it the full five stars. 2. Do stage mothers suffer from mental disease? I think the title of this book could easily have been changed to: DIARY OF A BIPOLAR MOTHER’S DAUGHTER. I found it interesting that no one in this memoir ever suggested that Melissa Francis’s mother suffered from a mental disease. Melissa did suggest near the end of the story that her sister could be bipolar, but she didn’t tie that into her mother. From moment one, I caught on that the mother had a mental disorder, but maybe that’s only because I’ve lived the rollercoaster life with my own mother. There were innumerable scenes that not only could I relate to, but I’ve also lived through. I’ve been dropped off on the side of the road left to walk home. I’ve come home from school to find my mother still in bed. I’ve been berated by my mother only then to have her act like nothing ever happened a short time later. These are things that I try not to talk about with most people, because most people cannot fathom the reality of living in such a volatile household. Just as Melissa Francis writes: “I have become a master of not answering questions. The skill is subtle. I do not lie. … The truth kills the conversation. … It is so abnormal, it begs an avalanche of uncomfortable questions that even friends are too shocked to ask. My non-answers are not lies, but, of course, they aren’t the whole truth either” (pages 286-287). 3. Should parents be forgiven their short-comings? I would never write a memoir about my life with my mother, because it would hurt her, and because I’m not famous. At what point are the sins of the parents unforgivable? Clearly, Melissa Francis defines that point in her book. And I respect that she made the decision that was best for her future, but how can she forgive her sister and her father, but not her mother? I still remember the day I sat in a counselor’s office and the counselor said to me, “You realize that a relationship with your mother is not a requirement? Right?” No. I didn’t realize that was an option. I thought I was required to continually forgive and love her despite everything. It never felt right to cut her out of my life completely. But just like Melissa Francis, I bolted from my home state as quickly as I could when I turned 18 and attended a college many miles away. I had never intended to return. And even though the rollercoaster ride with my mother is exhausting, the right choice for me was to continually forgive her. She’s now taking medication, and it helps. It doesn’t cure, and certain situations can still be volatile, but things are better. And even though my mother is not perfect, she is still my mother. 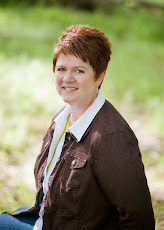 I’m not a perfect mother, and I hope my children will forgive my shortcomings. Near the end of her story, Melissa Francis references the mothers of other newscasters and how their comments of “that dress makes you look fat” or something similar deflates esteem. Well, the truth of the matter is, a lot of moms say similar hurtful things. They don’t have to be stage moms, and they don’t have to have a mental disease, and they don’t have to have ill-intents. Sometimes moms say dumb things like, “You’d look so much better if …” Not all mothers have the communication skills and parenting tools to raise their children without harming them emotionally at some point. We all do the best we can with the tools we have. When we know better, we do better. 4. Does a child have any responsibility for influencing the atmosphere in their own household? Melissa Francis could blame her misfortunes and the death of her sister on her mother, but at what point is a child held responsible for their own influences on the situation? She writes, “Right on cue, Mom got vicious. … Happy family movie officially over. I felt angry with both of them. Why couldn’t Mom leave her alone, but really, why couldn’t Tiffany just play along and keep dinner civil? They both made life so complicated” (page 138). I almost stopped reading the book here, because unlike the author, I was the one who always spoke up and defended myself. I was the one who refused to “play along” just to keep things civil. And I never understood how anyone could simply suffer in silence at the hands of a bully. 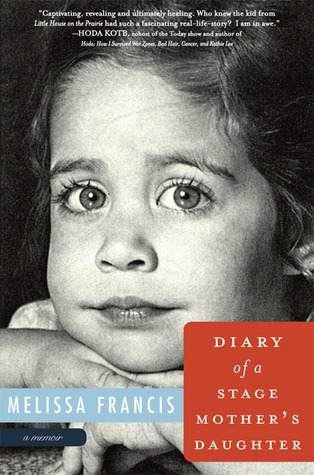 I chose to keep reading this memoir because I wanted to understand how Melissa Francis could stand to “play along” and take the hits in silence. Frankly, I think she liked the rewards. Guess jeans, an expensive car at sixteen, private school, horseback riding, and more. She played along because she liked the lifestyle. Is that her fault? When is a child responsible? 5. Was Melissa Francis ultimately responsible for her own successes, or does she have her mother to thank in part? If the author’s mother is to blame for the demise of Tiffany, then is she not also responsible for Melissa’s successes? How can you link one and not the other? I don’t think the mother is responsible for either. However, I do believe she had a hand in both. We are all ultimately responsible for our own decisions. Even children from a certain age – say eight-years-old – are accountable for their own actions. Sure, Melissa was extremely smart and savvy. She made things happen: siphoning off money for summer at Stanford, working hard to ensure an internship happened, saving money to provide for herself … but aren’t these all things her mother taught her to do? Ultimately, this was a great read, and I’d highly recommend it to everyone, unless you’re wanting an inside scoop on Little House on the Prairie. This section took very few pages in the book. I might give this book a look. I, too, am not famous and my mother suffered from schizophrenia, not bi-polar disorder; but I think children of mothers with mental illness share some common experiences.